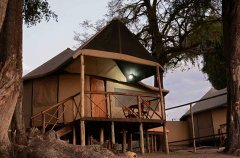 Camp Linyanti should be visited by anyone passionate about raw Africa and favours safari quality over luxury accommodation. 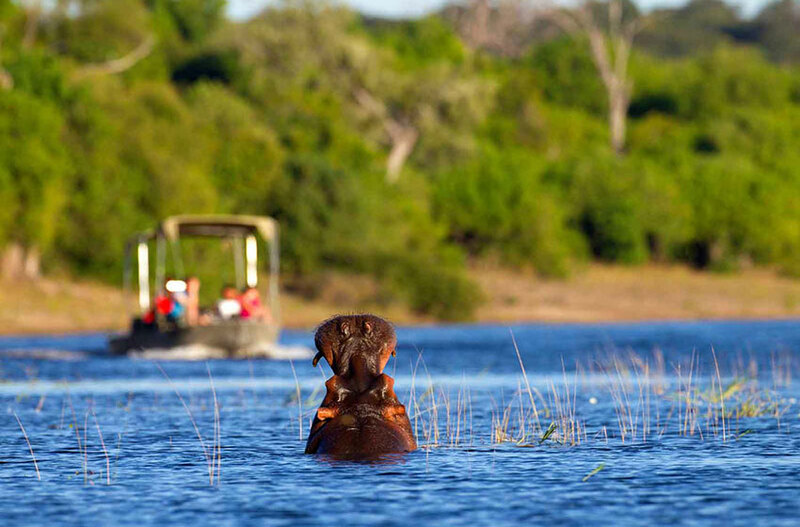 This uncrowded north-western corner of Chobe National Park is a water wonderland which makes it appealing for game viewing as well as game drives. 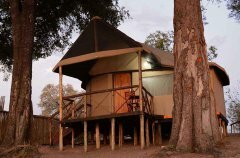 The accommodation at Camp Linyanti sings of traditional safari, blending in with the environment and keeping things simple, yet elegant. 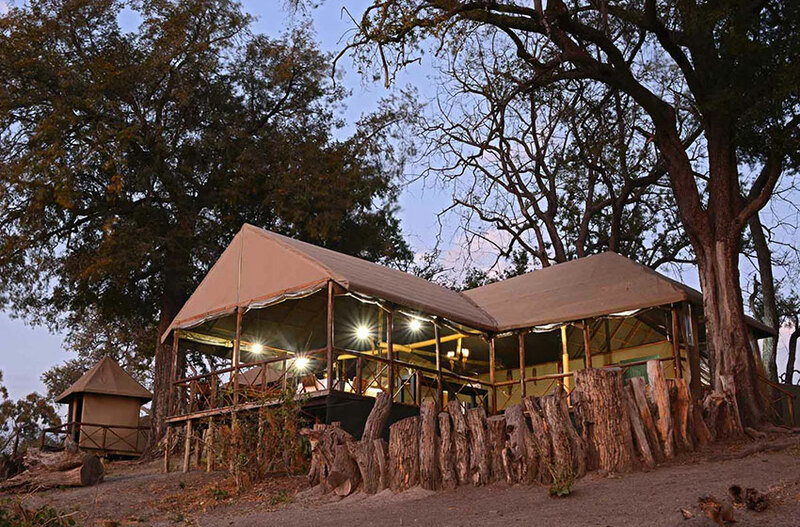 There are 5 individual canvas tents, elevated slightly from the ground with stairs leading onto private wooden decks, and up to the interior of these unique, circular tents. The camp consists of only 5 Meru-style safari tents on elevated decks, with outdoor showers. The vast floodplains of Linyanti stretches out towards Namibia’s Caprivi Strip, providing striking views. The Linyanti is known as one of the game rich regions in Botswana. 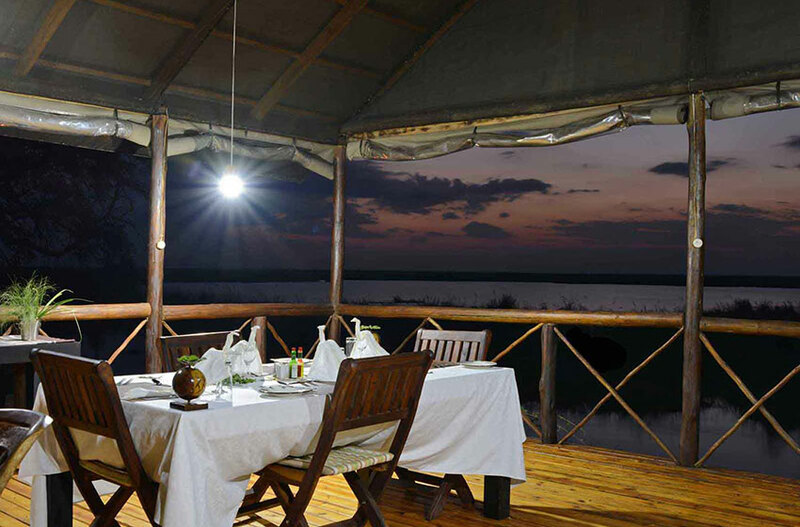 Camp Linyanti has numerous boats which are used for sundowner and safari cruises. Perched on a wetland oasis overlooking the Linyanti lagoon. During the dry winter season the area is teeming with elephant herds. This area is home to two zebra migrations –a wildlife spectacle not to be missed. Camp Linyanti is located in the Chobe National Park. 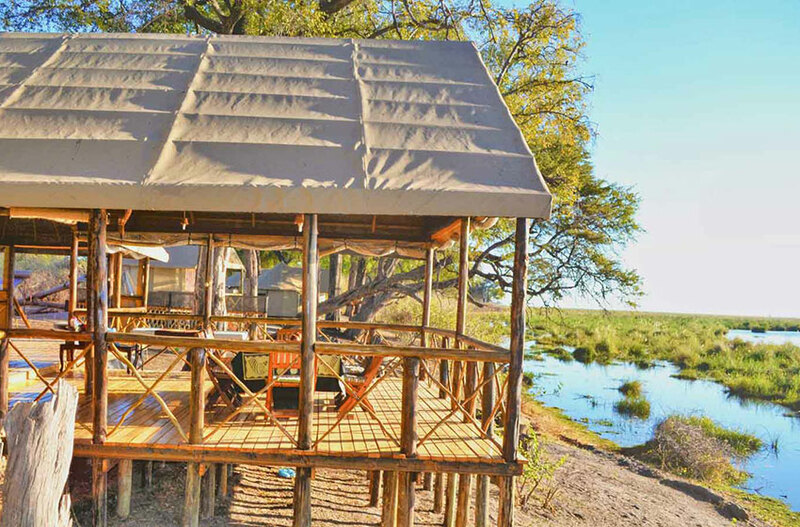 The camp overlooks a large lagoon on the Linyanti floodplain and has sweeping views of the Namibia’s Caprivi Strip. The constantly appearing and disappearing Savuti channel is a mysterious geographical phenomenon that has created area world-renown for prime game viewing. The Savuti and Linyanti area attracts migrating herds of zebra and plenty of predator activity. 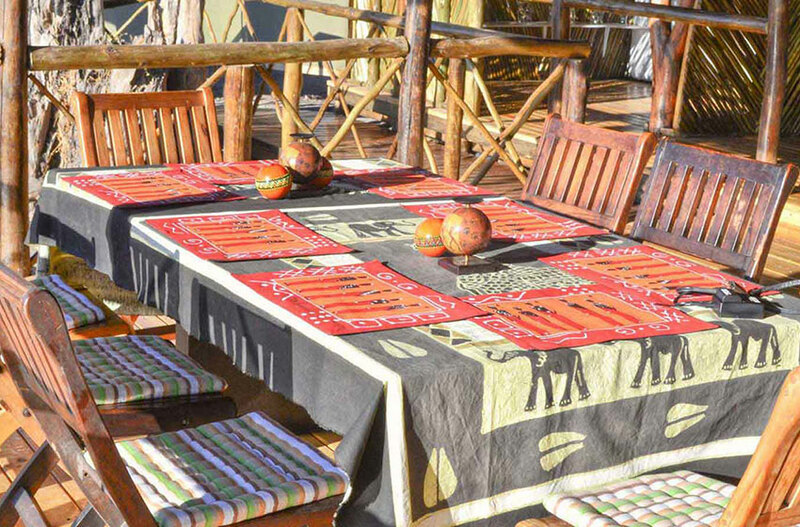 Guests can expect to see a variety of wildlife, including elephant, buffalo, zebra, and predators. 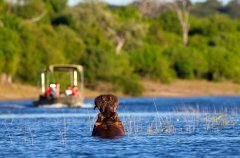 Sable, the brown hyena and Cape hunting dog are just a few of the rare animals to look out for while on safari in the Chobe region. merely a suggestion of what to expect. 05:30 – 06:30: A simple early morning snack of cereals, yoghurts and fruit is served before departing on the game drive. 10:30 – 13:30: Leisure time and boat activity. 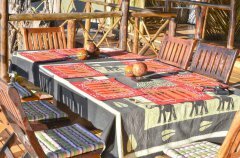 14:00 - 16:00: Afternoon tea is served before the afternoon game drive which normally departs at 16:00. 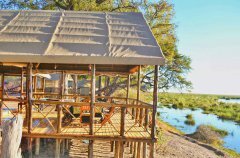 Camp Linyanti is located in the Chobe National Park.The camp overlooks a large lagoon on the Linyanti floodplain and has sweeping views of the Namibia’s Caprivi Strip. The easiest way to Camp Linyanti is via air. A light air transfer takes 50 minutes from Maun and 40 minutes from Kasane. 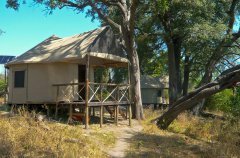 Camp Linyanti is easily accessible via road and will take roughly 2 hours drive from the airstrip to camp. and during the day wear light long sleeved clothing. swamps, woodlands and the mighty perennial Chobe River. With such a range of habitats, it is no surprise that the area attracts a plethora of wildlife. Chobe is known as the land of giants because it has one the largest population of elephants in the world. Coupled with this, lion prides and buffalo can be found in abundance. No single supplements apply in 1 December 2017 to 31 March 2018 & 1 April 2017 to 30 June 2018 & November 2018, however a 50% single supplement applies at Camp Savuti and Camp Linyanti in High Season. Camp Linyanti will be closed from November 2017 - March 2018 and from November 2018 - March 2019. Families travelling with children under the age of 11 years to Camp Linyanti are required to book a private vehicle for the duration of their stay. 90- 76 20% of total value of reservation. 75 – 61 30% of total value of reservation. 60 -30 50% of total value of reservation. 30 or less 100% of total value of reservation. All guests travelling must be covered by their own fully comprehensive travel and medical insurance policy valid from the date that they confirm the booking with us. If another GROUP booking is received; you will be informed in writing to secure your reservation with a written confirmation within 5 working days. Failure to revert back to us within the 5 working days will result in an automatic cancellation of the entire reservation. 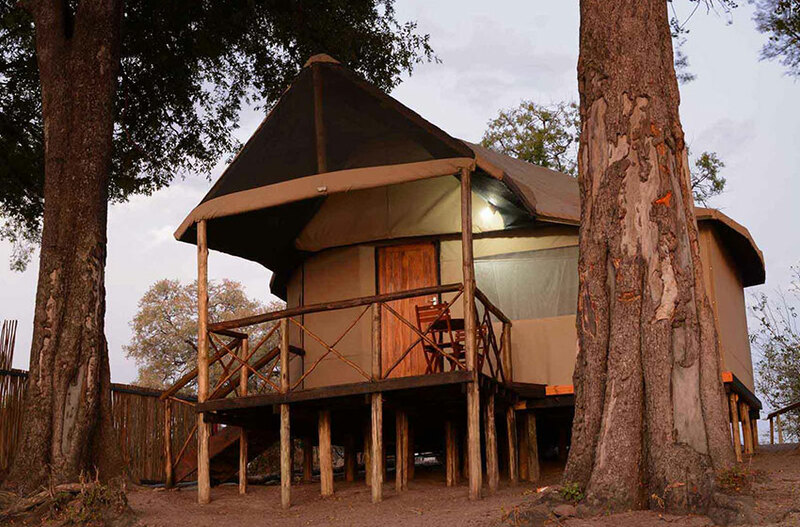 On the Trails of Botswana circuit, Camp Linyanti is accessed via a light air transfer into the Saile airstrip. From there it is a road transfer into camp. To get between Camp Lintanti and Kasane and/or Maun would be via a flight, in addition to between Xobega and Camp Linyanti. To move between Camp Linyanti and Tuskers will be a flight to or from Maun and a road transfer to or from Tuskers Bush Camp. To transfer guests between Camp Linyanti and Camp Savuti, you would need to fly them via their airstrips of Saile and Savuti and respectively.